On 31st August 1914 it Was announced that those who could not at once accept the obligation for service overseas were to be withdrawn from the Territorial units to form "Second Line" Territorial formations intended for Home Defence. 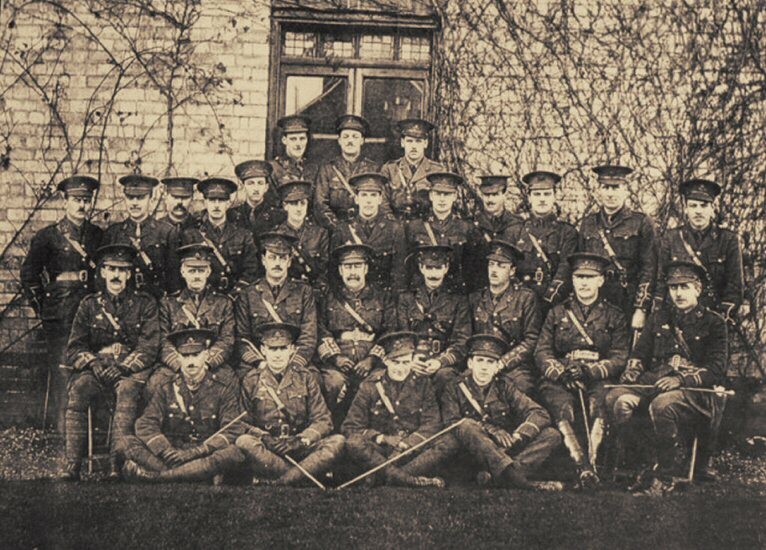 The "Second Line" personnel of the Worcestershire battalions were organized at Kidderminster and Worcester into two new units, the 2/7th and the 2/8th Worcestershire. The 2/7th Battalion was commanded by Colonel Edward Vincent Vashon Wheeler; and an active campaign was opened to recruit the new units up to the strength of full battalions. The passing of the Military Service Act removed the previous distinction between the "First Line" and the "Second Line" of the Territorial Force—the personnel who had volunteered for service overseas and those who for one reason or another had been unable to volunteer—and the "Second Line" Territorial units thus became liable for service over-seas. Front seated on ground L to R: Lt. J. C. Humphries, Lt. A. O. G. M. Grove, Lt. R. S. Lucy, Lt. K. Hemmingway. Capt. G. W. Edwards, Capt. F. D. Simpson. Lt. C. L. Butcher, Lt. W. Hancocks, Capt. W. E. Boucher, Lt. E. C. Hemmingway, Lt. J. C. H. Hill. 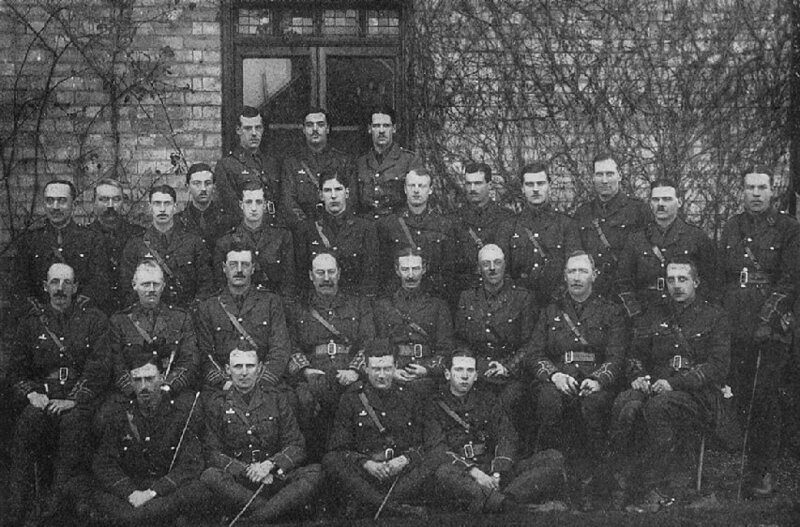 Back row: Lt. W. F. Smellie, Lt. G. A. Thompson, Lt. O. F. Grazebrook.